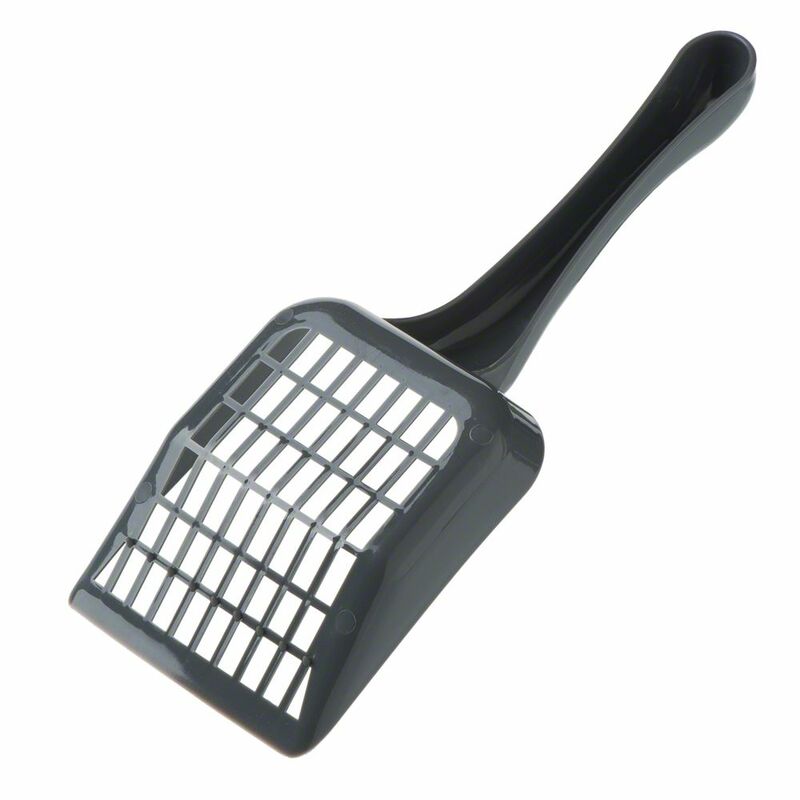 This cat litter shovel was specially developed for ultra clumping litter. The scoop lets you quickly remove the soiled litter. There are large slits in the scoop which allow the clean litter to fall through and stay in the litter box for further use, while removing the clumped lumps of used litter. The width of slits in this litter scoop make it ideal for use with coarse clumping and silicate cat litters, which will help you use the litter more sparingly. The Litter Scoop at a glance: Strong litter scoop: also ideal for coarse cat litter Wide slits: to allow coarse, unused litter to fall through onto the litter tray for repeated use Perfect for clumping and silicate cat litters Colour: aΒorted colours (may vary from picture) Material: plastic Dimensions: Total size: 26 x 10 x 2. 5 cm (L x W x H) Scoop (minus the handle): 13 x 10 x 2.5 cm cm (L x W x H) Slits: 1.3 x 0.5 cm cm (L x W). Price just £1.19! Click here to buy now!